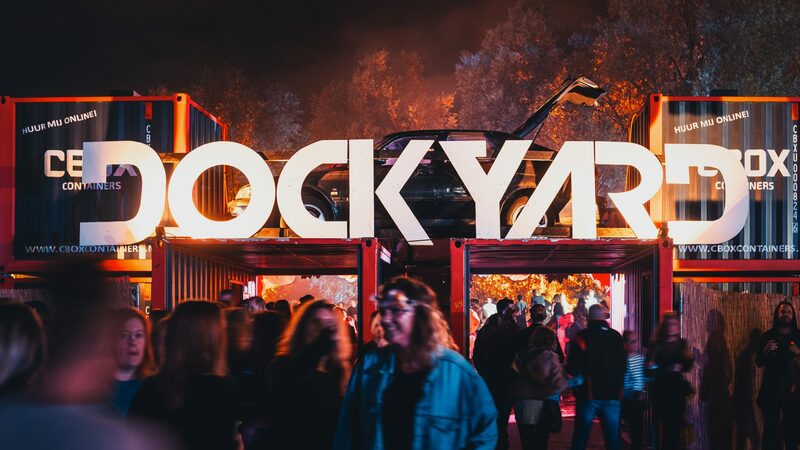 Dockyard Festival returns to ADE in 2019!! Drug use is strictly prohibited at the festival. You will also not be permitted to take your own food or drinks with you to the festival. Expect to be checked thoroughly at the door. We recommend you come by bike or with our pendle busses. 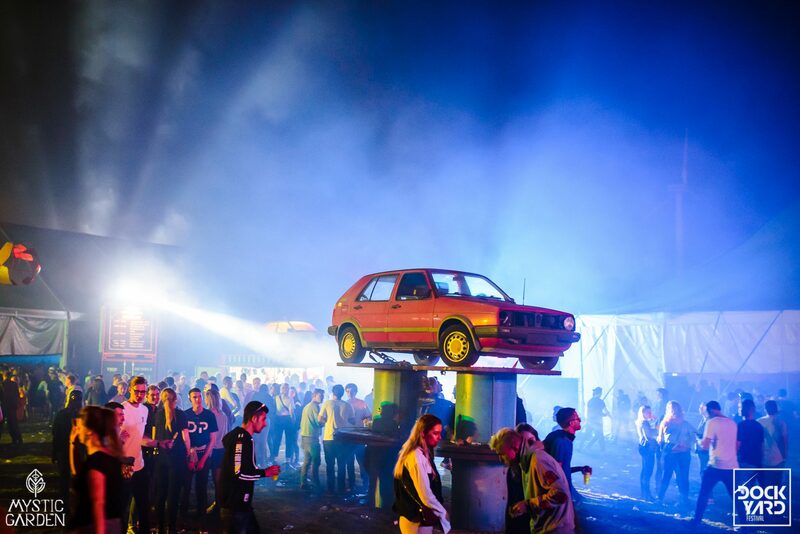 But it is possible to park your car near our festival on our parkingspot. That is the adres of the shell tankstation near our festival. From there you need to follow the yellow signs with parking on it. Parking is available near the festival terrain. A parking ticket costs 15 euros online. On location the cost of parking will be 20 euros. 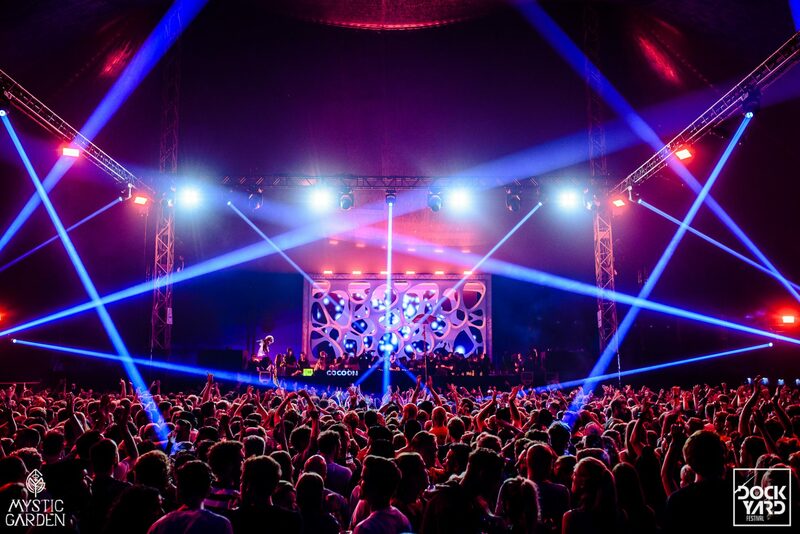 You can come by train and then take our pendle busses to the festival terrain. 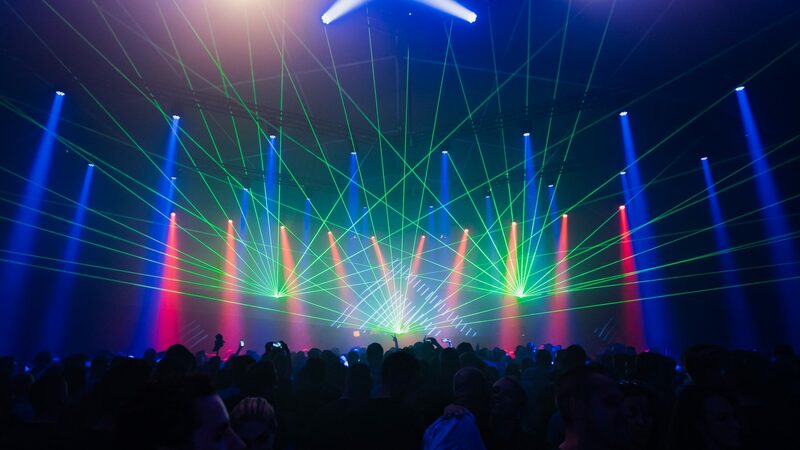 Our busses will be running continuously between the event location Sloterdijk Station the entire day and night. Cost of a 2-way ticket is 5 EUR, and the ride is only 5 minutes. We recommend that you purchase your bus tickets online to avoid lines at Sloterdijk. If you want to come by bus, we also recommend to go to Sloterdijk Station and take our pendle busses from there. Near the festival entrance their is a bicycle storage if you want to come by bike. There is a clearly marked area where you are able to leave your bike. Please be aware that bikes stored outside of this area will be REMOVED by the Gemeente Amsterdam. There are tickets for Dockyard Festival and also for Mystic Festival, how does it work? 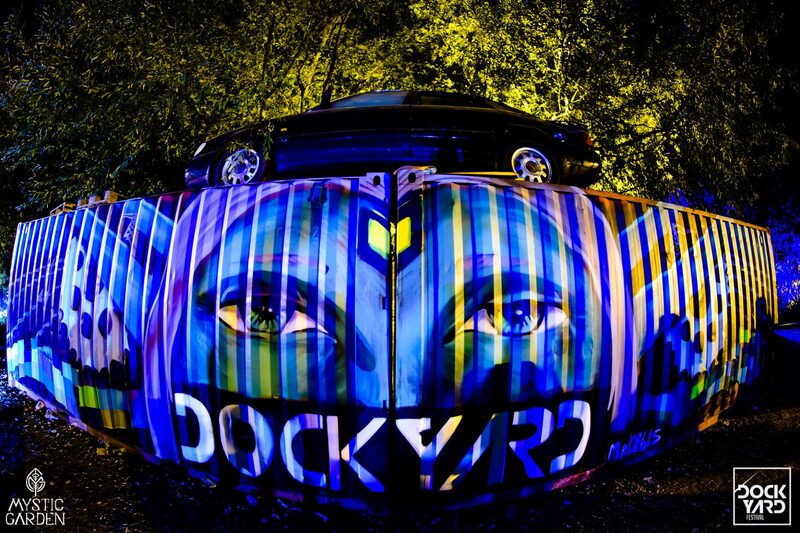 This year Dockyard Festival will join forces with Mystic Garden Festival. Both festivals are on the same terrain. there is one entrance for both festival. After the entrance you can walk from Dockyard terrain to the Mystic Garden terrain over and over. The festival is outdoor. The dance area’s are in tents who are preheated. From area to area you walk outside. So it is recommended to take also (warm) clothes with you for outdoor. 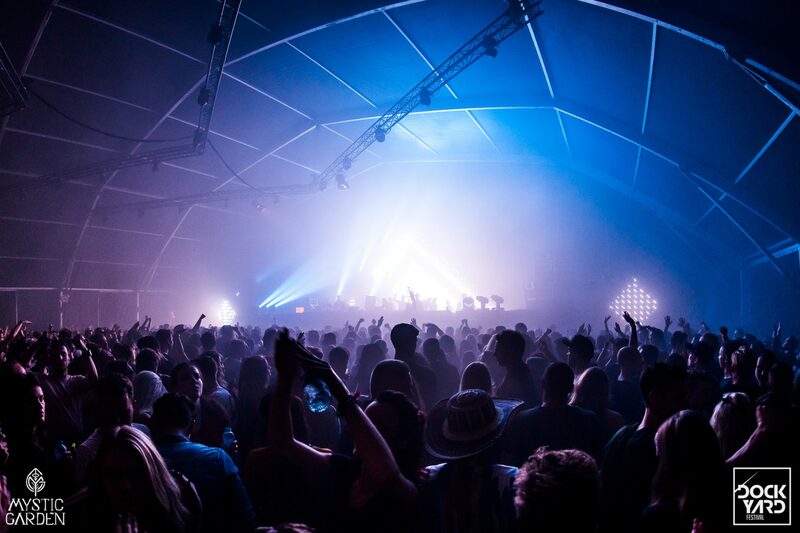 Our gigantic musical tent areas are pre-heated and waiting for you! You walk from tent to tent in the open air, so think about some warm clothes if needed. 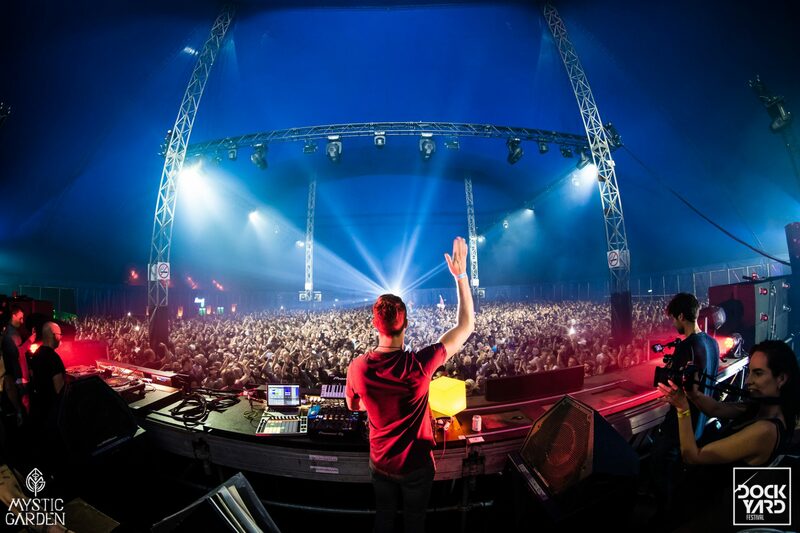 E-cigarettes are allowed on the festival terrain, as long as they are pocket sized. And refills have to be unopened and sealed. At this moment we are not selling tickets. Pre-register your email address and stay updated! Here you can buy tickets for the festival and also tickets for the pendle busses and parking. You can pay with Ideal, credit card, Paypal or Sofort Banking. I lost my ticket! What do i need to do? We are always very happy if people want to help us and become part of our family. If you like to volunteer, please keep an eye on our Facebook page. You can help for example with decoration, ticket scan, helping us with heavy things, etc. It doesn’t matter if you don’t speak dutch. We can speak English. So also as a non-Dutchie you are more then welcome to join our team. There are lockers available for rent at the festival for 7 euros per locker. There is approximately enough room in one locker for 3 people, depending. You can purchase your locker in advance in our ticketshop. Consumption tokens can be purchased using cash, creditcard or PIN. It will NOT be possible to pin cash at the festival. It’s not possible to refund your tokens or use them at the next event. describe all the information about the thing you lost, and we will have a look for you. Love your ears! You only got one pair. If you forgot your earplugs, you can buy them at the merchandise stand. We have a variety of food available. Every event we do our best to make sure there is something for everyone. It’s only possible to bring your own food if you can show a doctor’s certificate for it. There will be cigarettes available for purchase at the festival. I'm a new nursing mother, is there a place to pump? Yes this is possible at the first aid. Here is a place with privacy to do this. Go to the first aid and they will help you out.